1) Soho: Streetwear brand Stüssy is saying sayonara after ten years on Wooster Street and yielding to modern furniture maker Blu Dot. Get ready for the Design Within Reach-meets-IKEA aesthetic. 2) LES: Here comes another vintage-looking boutique with Amoskea XXabout to open at 96 Orchard. The label is an homage to a textile company that opened in the 1800s and closed down in the 1930s. 3) Soho: Brazilian store BR Concepthas gone bye bye. Its almost 3000-square-foot corner location at Houston and Wooster Streets is empty and up for lease. 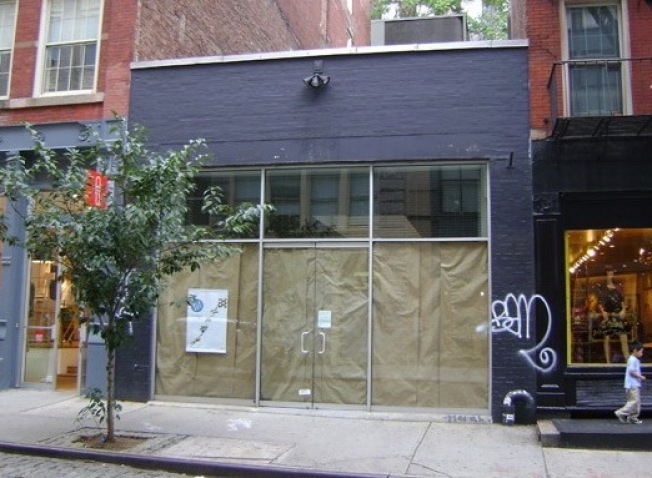 4) Soho: Not so Brooklyn Industries, which is opening a pop-up store on Broadway on Thursday in advance of a spot at Broadway and 11th Street. There will be a more permanent location in Spring.